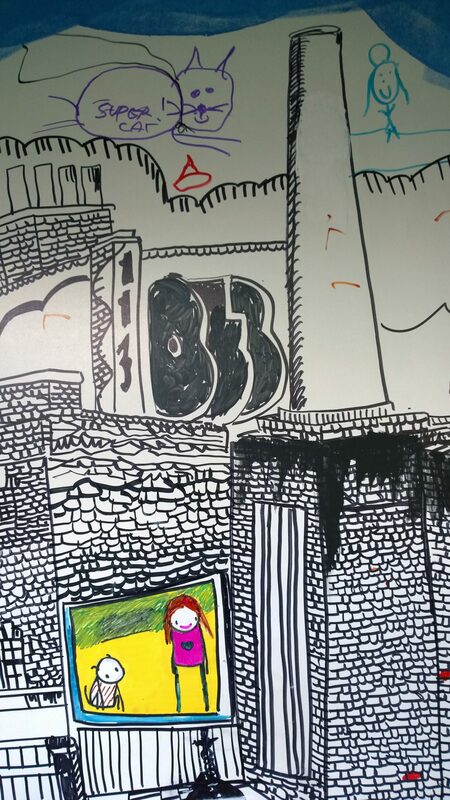 The Rotunda exhibition area of the Museum of London has been taken over with the bank holiday weekend playing host to some of Londons most recognisable street artists. 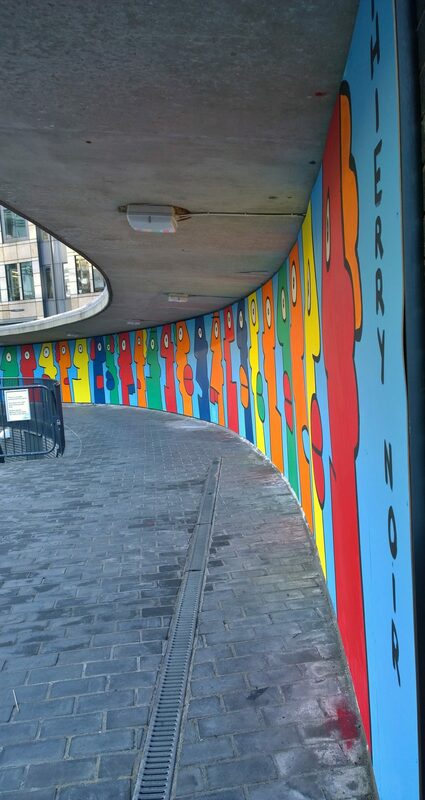 Over the space of two days, Italian artist RUN, Frances Thierry Noir and Shoreditch’s own John Dolan combined to create a 70metre wall mural in the Barbican at the entrance to the Museum of London. 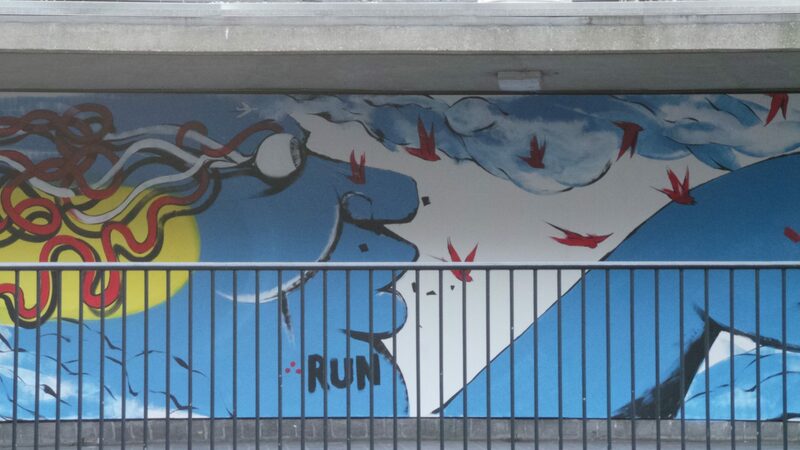 All have become well known on the street art scene over the last few years and represent the core of the Street Art London stable of artists. The resultant mural was designed to be interacted with. 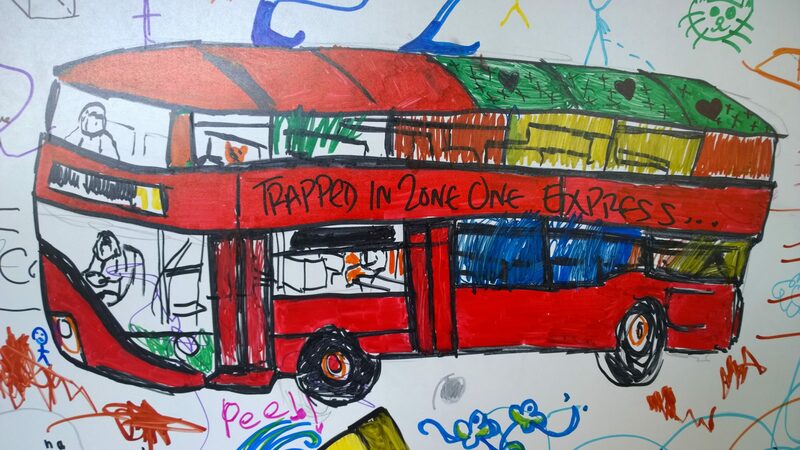 Visitors could speak to the artists and even add their own little piece of art to it. 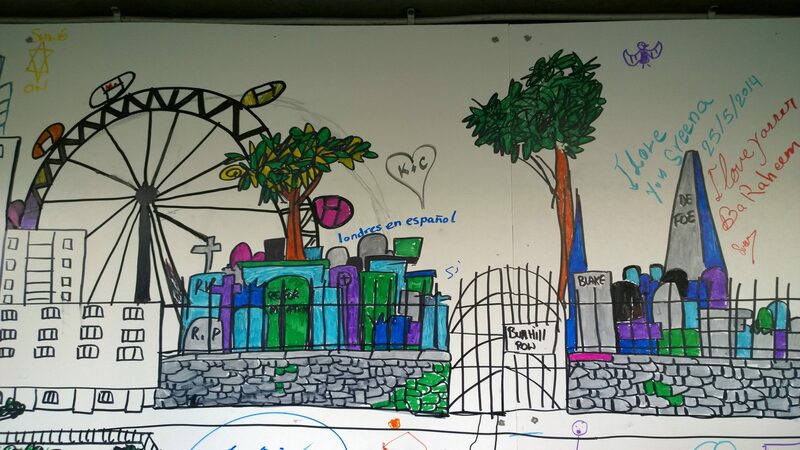 Dolan’s cityscape in particular was one that really attracted some additional attention. 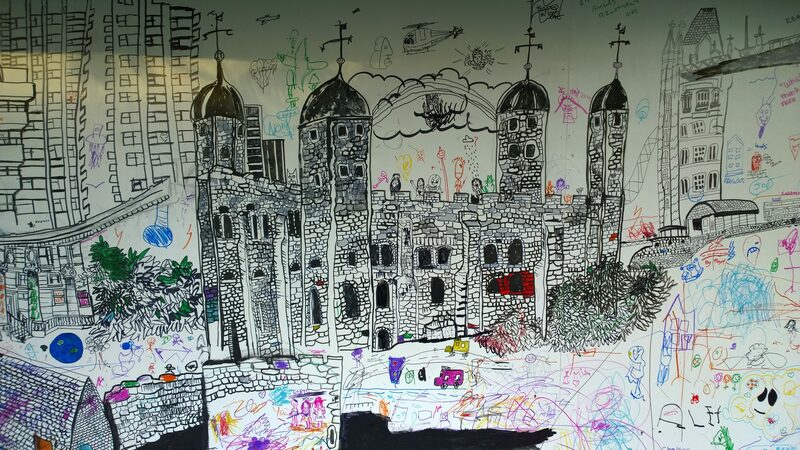 Well known for his Shoreditch scenes, he switched to draw possibly his largest ever cityscape featuring some of London’s most iconic monuments. 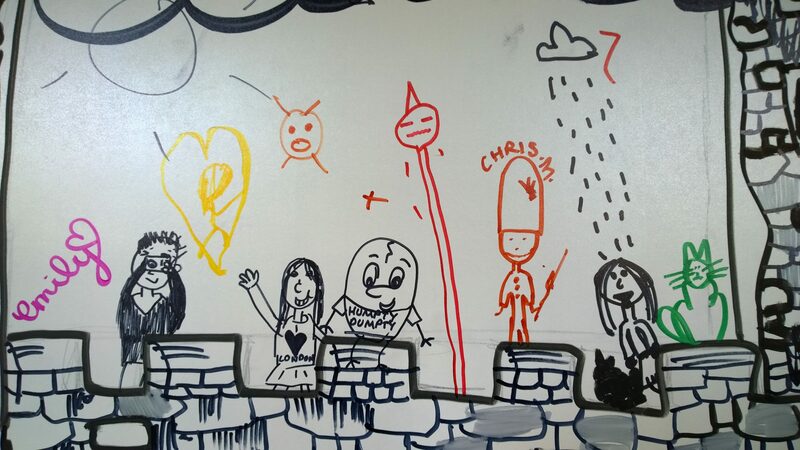 The resultant mural received the most interactions from the general public, with children, art lovers and even a cheeky little addition from street artist Stik adding their mark. 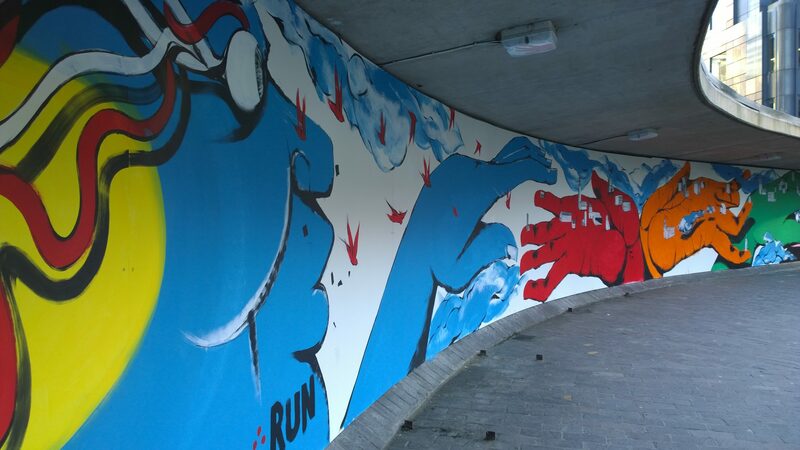 RUN added a number of his abstract yet recognisably human characters and Noir produced an epic wall filled with the sort of figures he has honed over the years since making his name producing them, under cover of night on the Berlin Wall. All in all it’s added something a little bit unique to one of Londons greatest museums, it will last until 1st June so be quick if you want to catch a glimpse. 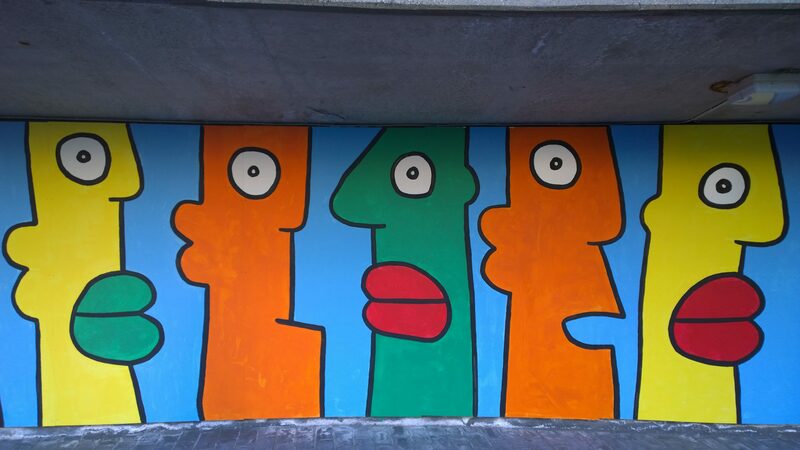 I met John Dolan when I popped into the Thierry Noir exhibition at the Howard Griffin Gallery. Nice bloke. Where’s the women !! How are you doing? Good to see John back… Shame there is so little time to see this. Must try to get down there this week!